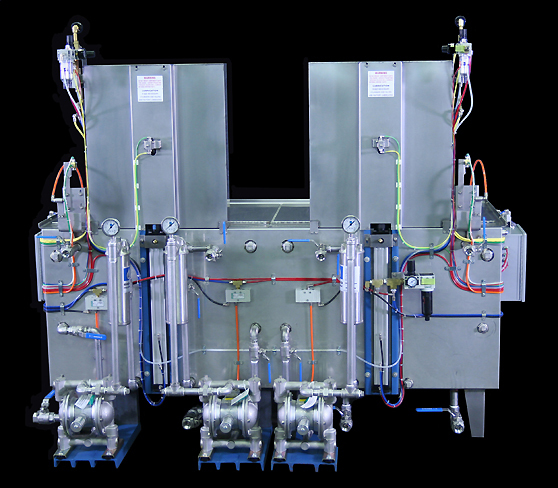 This unique multi-station solvent washing system is entirely air powered, inherently explosion proof, and automatic. The system is designed for two stages of washing using PD680 followed by a solvent based finger print remover. The last stage is an oil based preservative. 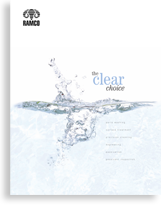 It is ideal for low flashpoint preferred solvent washing of steel parts and assemblies that cannot be cleaned in water based detergents. The console is divided into four chambers. Each chamber has its own elevator and platform. 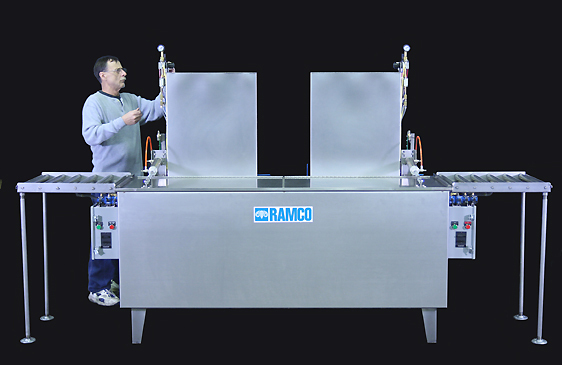 The two PD680 solvent wash stages are linked and powered by a single RAMCO floating cylinder. The finger print remover and oil based preservative stages are also linked and powered by a second RAMCO floating cylinder. The solvent washes including the finger print remover are all filtered using air diaphragm pumps (see below). The system includes pneumatic power covers, pneumatic timer (counter) and an exclusive RAMCO pneumatic circuit that integrates and sequences all functions to provide a smooth and fully automatic washing cycle. The operator loads the platform, presses a pneumatic start push button and walks away. The process elevator automatically carries the work into the solvent. The cover closes automatically in sequence with the elevator.The elevator oscillates throughout the pre-selected process cycle. When the cycle is complete the cover opens automatically and the process elevator automatically returns the work to the original loading position. 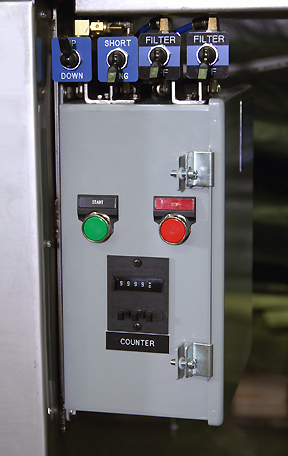 Long/short stroke and filter on/off selector switches are conveniently located (see below).